I've said it before and I will no doubt say it again. I've given up with weather forecasts. Look out the window and see what its doing is the best way, especially as we can now see 13 wind turbines from our bedroom window. 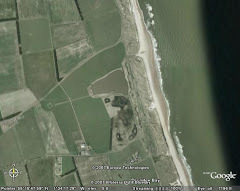 The forecast for this morning was 13 mph westerlies, gusting up to 28mph - no good for ringing at Druridge. The reality at 7.30am was virtually flat calm with a light southerly. So we put some nets up. 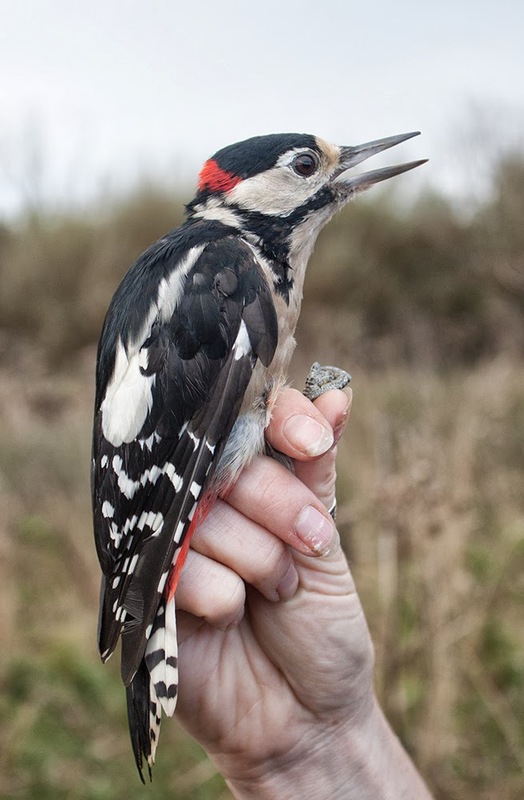 There was a bio-blitz type event organised by NWT this weekend, so we agreed to do a ringing session as part of it. Quite a few folk turned up to see what we were up to. We caught 23 birds, which wasn't bad considering a lot of the new arrivals had obviously shipped-out in the clear conditions overnight. Other ringing highlights were whitethroat, blackcap and two chiffchaffs. It was still good for viz-mig with small groups of goldfinch, tree sparrow, meadow pipit and skylark going through with the occasional pied and grey wags, linnet and lapwing. Pink-footed geese were moving through most of the morning in small groups. In the bushes one, probably two, yellow-browed warblers were still calling. What is most worrying is a incident of cattle rustling. The cows, that have been doing such a great job of tackling the rank vegetation on the Budge fields have vanished. As they were doing a grand job, surely NWT wouldn't have taken them off? The only answer is that they have been rustled. The thieves were obviously not being keen on ponies as they left them behind. I will report the disappearance to NWT tomorrow and report back.